It is indeed sad to see the great artists of our industry pass. On the first of December, one of my biggest taxidermy heroes left the world of the living and, in that instant, became a legend of our industry, to be remembered for years to come for her enormous influence. I had been friends with Jan Van Hoesen for over twenty years. I feel blessed that I got to spend time with Jan at the World Show in 2017 and I am even more grateful for the extended visits we had at the 2016 UTA convention. Jan was so many things to so many people; a compassionate friend, a teacher, a judge, an active force for advancing the art of taxidermy and improving the politics of our profession. Sweet, but strong. Shy, but fearless. Soft spoken, but powerful. And amazingly generous with her knowledge and her friendship. 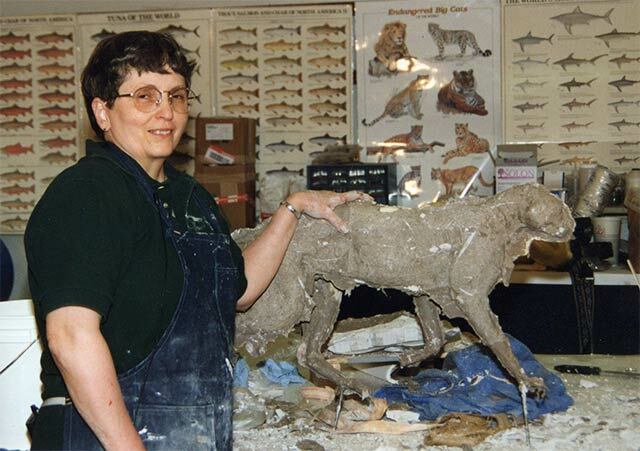 But when I think of Jan, I will always remember her most as a great artist; one who almost singlehandedly brought mammal taxidermy from the level it was at before her to the level it is at now. When I envision of the arc of taxidermy history, in my mind there are but a handful of historical taxidermy mounts that were actually epic in significance. A few important competition pieces ushered in a new level of quality that changed all taxidermy after them. From Frank Newmyer’s waterfowl, to Tom Sexton’s leaping largemouth bass, to Joe Meder’s gasping whitetail, each of these show-stopping entries were so far above anything else at the time that they created a quantum shift in their respective categories. All taxidermy competition pieces after these iconic works were influenced by them, and continue to be influenced to the present day. Seeing Jan’s 1992 bobcat was one of these benchmark moments. 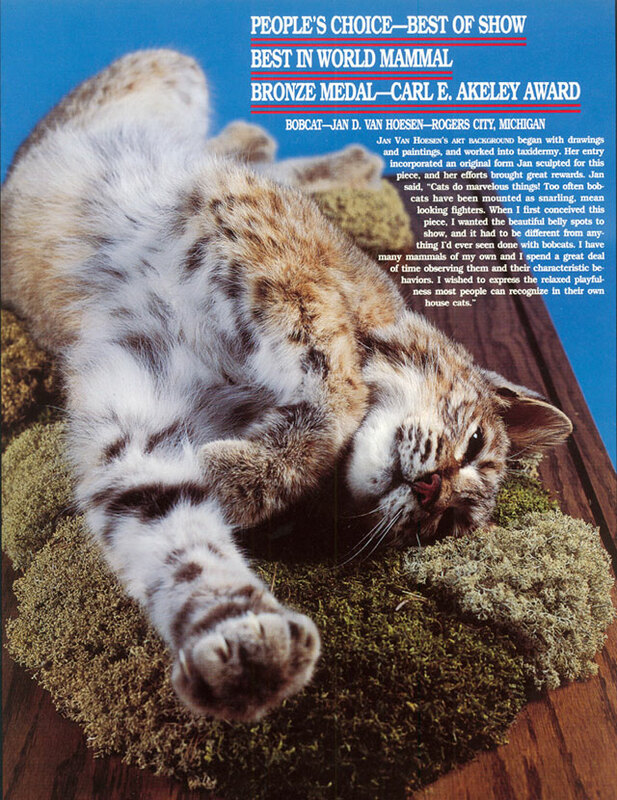 When I saw Jan’s World Championship winning bobcat in 1992, stretching and twisting on its back in a bed of moss, I had to do a double take. The cat literally looked alive. I mean, really alive! I had to stare at the chest to make sure it wasn’t breathing. This was the first small mammal I had ever seen that did not look like a piece of taxidermy. It looked exactly like a live animal. Everyone who saw the cat was amazed. Photos do not do it justice. The piece won a gold medallion a the Best in World Mammal title and the silver medallion for the Carl E. Akeley Award. I became an instant fan of Jan’s work and started following her career. 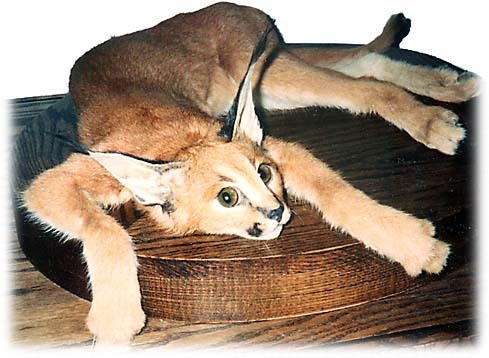 This three-month-old caracal kitten mount won one of the first WASCO Awards at the February 1994 Wisconsin Taxidermy Association convention. I am proud to be the current owner of this historic piece. Jan Van Hoesen burst onto the scene with multiple wins at all levels of competition, winning the top awards at state, national and international shows. She not only impressed the judges, but won many People’s Choice awards as well. It was always a treat anticipating what Jan would bring to a competition. Each of her small mammal entries showed a exciting new take on the species. 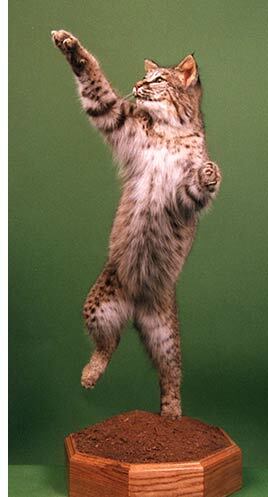 The poses she chose had never been seen before in any taxidermy works. 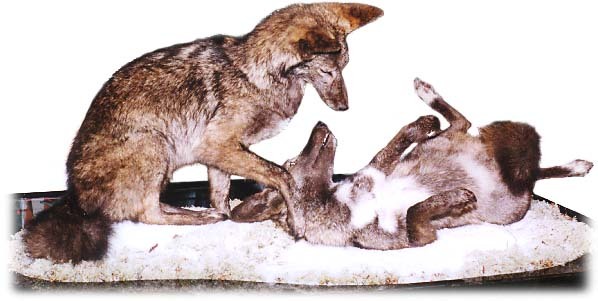 They all seem to capture subtle moments in animal behavior that portrayed the elusive “essence of the species” that all taxidermists strive for, but few achieve. Jan had a secret weapon in understanding the finer points of anatomy and attitude. She lived with dozens of live animals at her home. 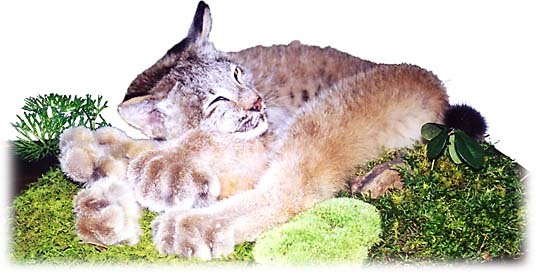 She had bobcats and lynxes as pets in her house, and also raised raccoons, foxes and coyotes. This intimate knowledge of animal behavior gave her the inspiration to create works which always portrayed an accurate representation of nature. With her husband of 49 years, Jim, the Van Hoesens built an idyllic life in Northern Michigan, raising their family and animals along the shores of Lake Huron. 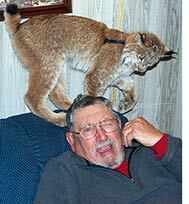 Jim was also a regular fixture at taxidermy conventions, and was universally well-liked and respected in the industry. Jim passed in September of 2014. Her backyard was a maze of cages, pens and hutches. She loved all the residents of her wildlife menagerie and took great care of them. As live reference is always best, she studied their behavior for hours at a time. The photographs she made of her mammals became some of the best-selling reference photo sets which are still carried to this day by major taxidermy supply companies. Jan Van Hoesen was a respected taxidermy judge at all levels of competition, including many times judging the World Championships. Her teaching degree from Michigan State University came in handy as she taught many seminars and workshops. 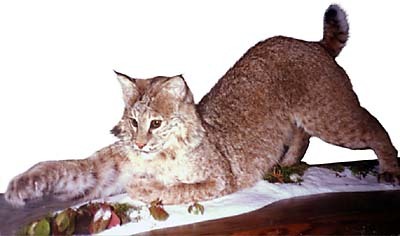 Jan was also featured in several top-selling instructional videos, including carcass casting and bobcat mounting, which I had the privilege to direct and produce. Happy times with Jan in the WASCO Showroom in Georgia. Left to right: Ken Edwards, Gayle Edwards, Sallie Dahmes, Jan Van Hoesen and Rick Carter. Working with Jan was a joy. Watching her hands work the clay on a bobcat face and bring the eyes to life was a special treat. She did not have a formula or a step-by-step procedure. She just jumped in freehand style, pushing clay and adjusting skin until the mount sprang to life almost magically. She had the soul of an artist which was readily apparent as I watched her work. When Jan was an active taxidermist, she specialized only in custom small mammal taxidermy. She did not produce assembly-line work. Each pose was carefully and artistically chosen to match the specimen. 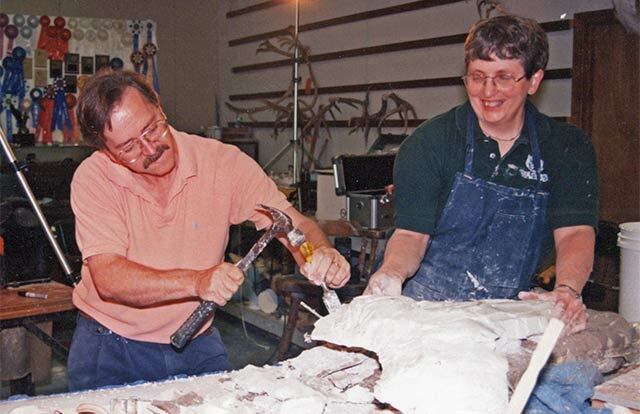 Instead of purchasing commercial mannikins off-the-shelf, Jan would meticulously cast, mold, sculpt, and create a new custom mannikin for each piece. The result was always a one-of-a-kind work of art. Jan’s sculpted mannikins became popular items sold by many major supply companies. She also developed a line of realistic earliners. 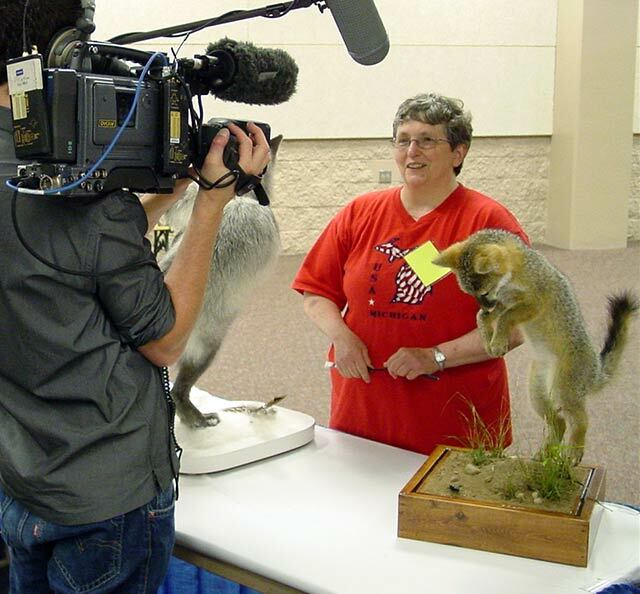 Jan was active in the politics of taxidermy, using her skills to advance the art and organizations for the betterment of the profession. She served on many boards, including the Michigan Taxidermist Association, the International Guild of Taxidermy, and the National Taxidermists Association. 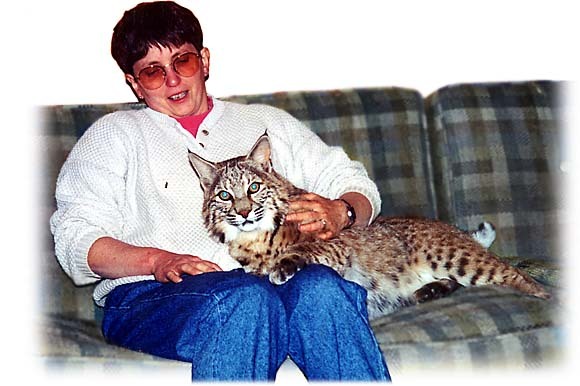 She was a Lifetime Charter Member of the United Taxidermist Association and served on its very first Board of Directors. 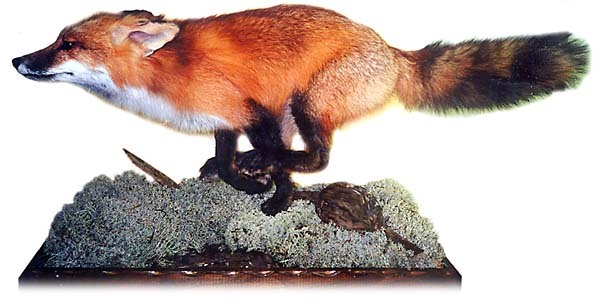 In 2004, Jan won the WASCO Award with this silver phase red fox at the Piedmont Community College Taxidermy Mini-Course. 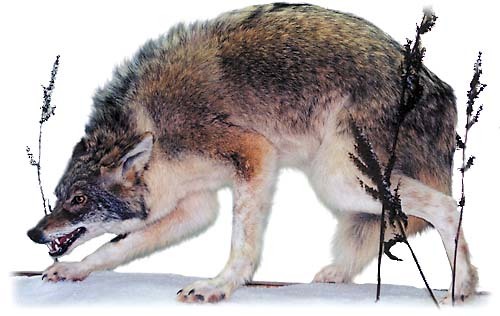 Jan’s stalking coyote became one of her best-selling commercial mannikins. 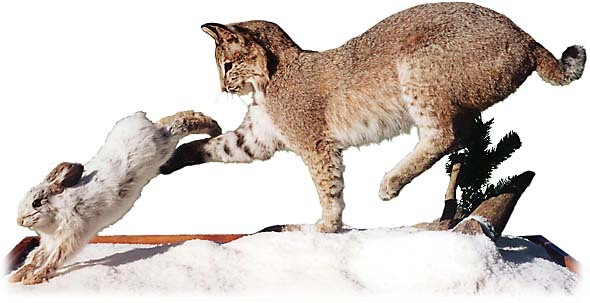 Her action poses, like this running bobcat, were always impeccably balanced. Jan excelled at relaxed, reclining poses. This wolverine in a good example. 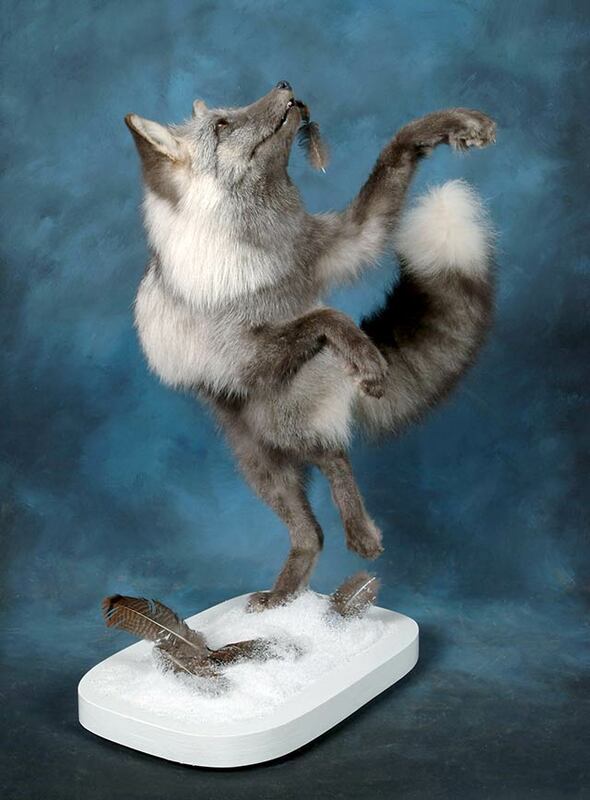 It won Second Place in the Master of Masters Invitational at the 1995 World Taxidermy Championships. This galloping red fox portrays the essence of speed frozen in time. My favorites were her sleeping felines. 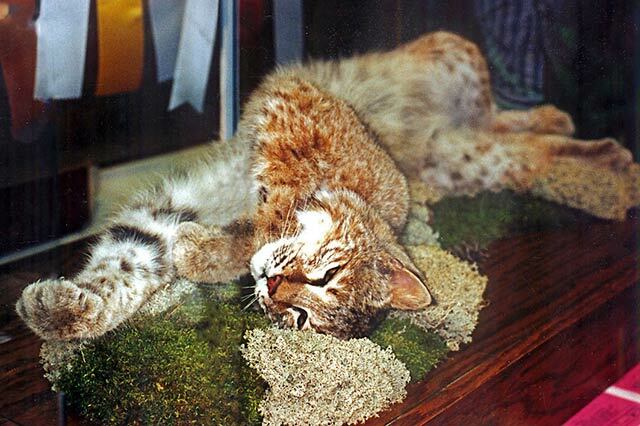 This dozing lynx won the prestigious Best of Show title at the 1999 International Guild of Taxidermists convention. 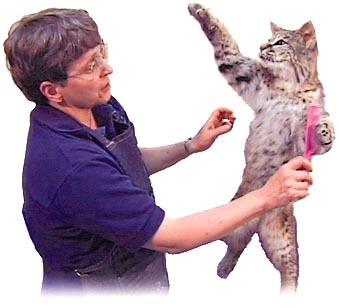 Nobody could mount a cat like Jan. I know for certain that we never lost Jan, even to death. Her teachings and talents will continue to participate in every act, thought and decision we make while mounting any small mammal. 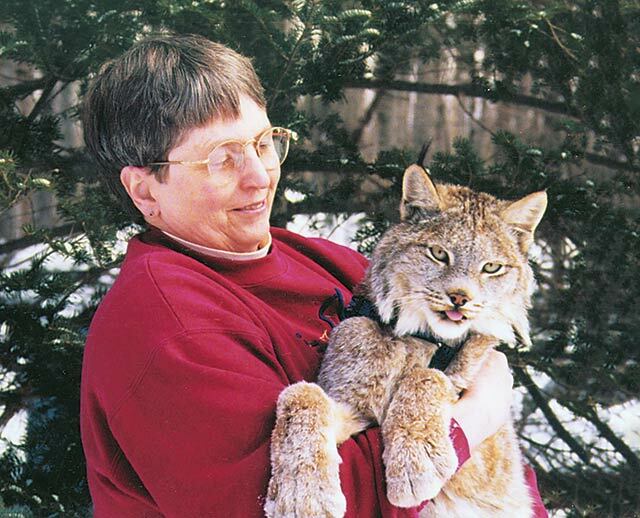 Her love for nature and taxidermy leaves an indelible imprint in our memories. We all will comfort in knowing that our lives have been enriched by having known her as an artist and her love for taxidermy. I was so blessed to have spent a great deal of time with Jan and Jim at our home many times and also working with her in Rogers City, at the Rogers City Zoo as I called it. When you think about Jan the artist we looked at her as one of our icons, and you assume she was instantly embraced. That usually was not the case. In reality, she had to overcome a lot of negativity to get where she wanted to be. We taxidermists are childish about our celebrities and icons. We worship, then we denounce; we identify passionately with them and then, if they do something — anything — we dislike, we cast them off. She was blunt, stubborn, independent, forthright and stood for all that was right, as was evident at the NTA convention at Buffalo in 1997. But she never gave up her cause and went on to become a force in helping to form the UTA which she was so proud of. I know for certain that we never lose the people we love, even to death. They continue to participate in every act, thought and decision we make. 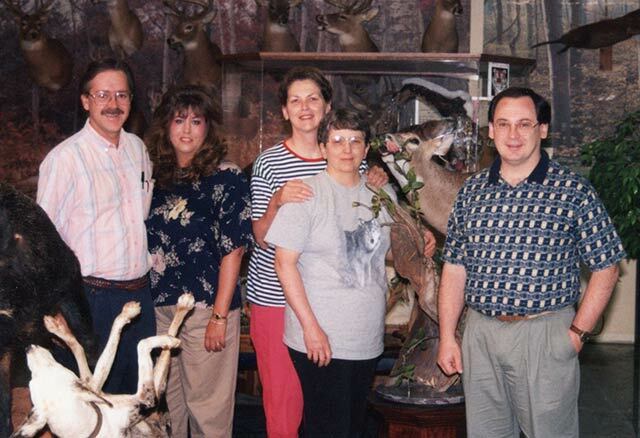 Jan’s love for the taxidermy and taxidermists will leave an indelible imprint in our memories. We will all find comfort in knowing that our lives have been enriched by having shared the life of Jan Van Hoesen.